Becky is seven months pregnant with her fourth child when she meets her dream actor Felix Callahan by chance. Twelve hours, one elevator ride, and one alcohol-free dinner later something has happened, though nothing has happened... it isn't sexual. It isn't even quite love. But soon Felix shows up in the Utah 'burbs to visit and before they know what's hit them, Felix and Becky are best friends. Really. Becky's husband is pretty cool about it. Her children roll their eyes. Her best (girl)friend can't get her head around it. But Felix (think Colin Firth) and Becky have something special... something unusual, something completely impossible to sustain. Or is it? 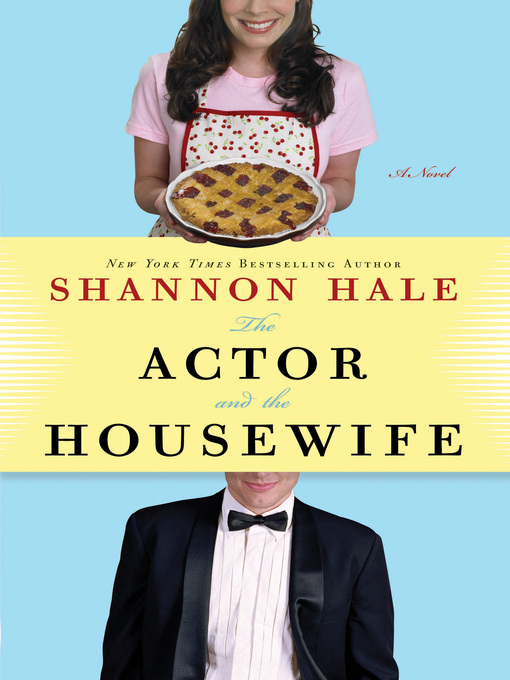 Shannon Hale's latest novel is at turns hilarious and heartbreaking, completely real, and utterly surreal too. One of those magical stories that explores all the permutations of what happens when your not-so-secret celebrity crush walks right into real life, and changes everything... From New York Times-bestselling author and Newbery Honor winner Shannon Hale comes an utterly satisfying new novel that asks the question: Can a seemingly normal, happily married Mormon mother-of-four be best friends with Hollywood's hottest (happily married) heartthrob? Shannon Hale is the author of Austenland, Rapunzel's Revenge, a graphic novel, and five young adult novels published by Bloomsbury: The Goose Girl, Enna Burning, River Secrets, Book of 1000 Days and the Newbery Honor-winning, New York Times bestselling Princess Academy. She is at work on a sixth YA novel, and she and her husband are working together on their second graphic novel, Calamity Jack. They live with their son in Salt Lake City, Utah.